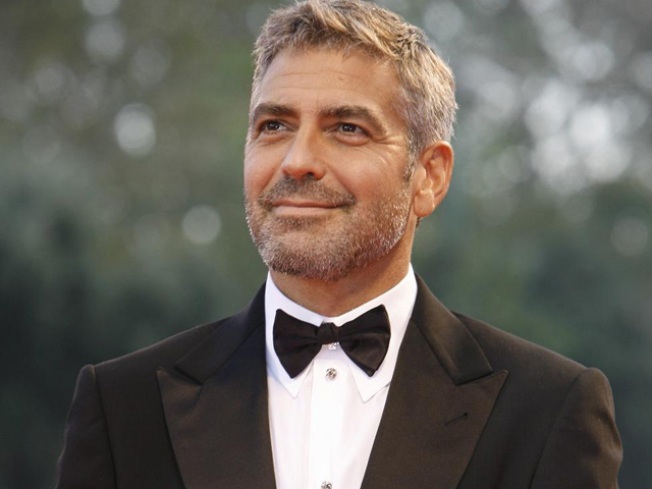 The mere presence of celebrities like George Clooney can be particularly persuasive in generating money to a cause. Telethons tend to occur almost as suddenly as the catastrophic events that make them necessary. Shortly after the Sept. 11, 2001 terrorist attacks, actor George Clooney helped to organize “America: A Tribute to Heroes,” which took place only days after the attacks and raised more than $100 million for various charities. In 2004, Clooney again helped to stage a telethon after the tsunami hit in South Asia. And after Hurricane Katrina, three major telethons were staged. On Friday night, Clooney will host “Hope for Haiti,” which will air between 8-10 p.m. ET on several networks, including NBC, ABC, CBS, Fox, CNN and others. It will feature stars such as Brad Pitt, Clint Eastwood, Meryl Streep, Julia Roberts, Leonardo DiCaprio, Nicole Kidman, Tom Hanks, Morgan Freeman, Jon Stewart, Robert Pattinson and more, and musical performances from Madonna, Beyonce, Rihanna and others. The event will be hosted by Clooney in Los Angeles, Wyclef Jean in New York and Anderson Cooper in Haiti. It doesn’t take much arm-twisting to get average citizens to make donations in the face of such tragedy. Yet the mere presence of celebrities can be particularly persuasive in generating money to the cause. The American Red Cross is one of the charities that will receive funds as a result of Friday’s telethon. Julie Thurmond Whitmer knows the drill. As director of celebrity and entertainment outreach for the American Red Cross, she has helped to form a cadre of celebrity volunteers who are ready at a moment’s notice to pitch in when disasters such as the earthquake in Haiti strike. “The compassion of the American public, including those in the entertainment industry, is in abundance and in full force after a disaster like this,” Whitmer said. “We have what we call the National Celebrity Cabinet, which has 34 members. We reach out to them right after disasters to help us. Not all celebrities have universal appeal. Some, because of the movies or television shows they’ve been in, or their politics, or their personal lives, or some other reasons, might actually alienate viewers — in another context. Michael Musto writes for the Village Voice and frequently comments on popular culture for “Countdown with Keith Olbermann.” He said although there is often a cynicism among certain viewers when entertainment figures are enlisted for high profile charitable endeavors, the bottom line is that most celebrities have the best intentions in situations such as Friday’s telethon. “Celebrities are usually more responsive to crises than ordinary people because a spotlight is always on them, and if they act like they don’t care, the whole world knows about it,” he said. “So they have to go overboard to show their concern in a big, public way that generally involves pushing their way into cameras to show how much their hearts are bleeding. For right now, charities are simply concerned with money that can be raised by celebrities to help those in need in Haiti. But the ideal situation is to have celebrity involvement beyond the night of the telethon. “We appreciate when they follow through,” Tandon said. “It doesn’t always stop with the telethon, but with the follow-up work. Tandon said new media is one of the most effective ways to keep the ball rolling long after the telethon. He hopes celebrities continue to work the Internet through e-mail newsletters, Facebook, Twitter, and fan groups to keep the issue at the forefront. Michael Ventre is a frequent contributor to msnbc.com. He lives in Los Angeles.